Few personal sports stories are as dramatic as the amazing rise and precipitous fall of golf prodigy Tiger Woods. Ranked the world’s best golfer for nearly the entire period from 1999 to 2010, Woods is no longer ranked among the top 1,000 golfers in the world according to the Official World Golf Ranking. Out today is a seemingly-penetrating biography of Tiger Woods – the man and the golfer – by Jeff Benedict (a best-selling author and special features writer for Sports Illustrated) and Armen Keteyian (an investigative journalist and a television correspondent). This colorful and penetrating biography may not have fully uncovered the essence of its enigmatic subject…but it is clear the authors left almost no stones unturned in their search. 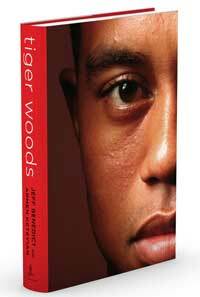 “Based on three years of extensive research and reporting, two of today’s most acclaimed investigative journalists, Jeff Benedict of Sports Illustrated and eleven-time Emmy Award winner Armen Keteyian, deliver the first major biography of Tiger Woods – sweeping in scope and packed with groundbreaking, behind-the-scenes details of the Shakespearean rise and epic fall of a global icon. In 2009, Tiger Woods was the most famous athlete on the planet, a transcendent star of almost unfathomable fame and fortune living what appeared to be the perfect life – married to a Swedish beauty and the father of two young children. Winner of fourteen major golf championships and seventy-nine PGA Tour events, Woods was the first billion-dollar athlete, earning more than $100 million a year in endorsements from the likes of Nike, Gillette, AT&T and Gatorade. But it was all a carefully crafted illusion. As it turned out, Woods had been living a double life for years – one that exploded in the aftermath of a late-night crash that exposed his serial infidelity and sent his personal and professional life off a cliff. In Tiger Woods, Jeff Benedict and Armen Keteyian dig deep behind the headlines to produce a richly reported answer to the question that has mystified millions of sports fans for nearly a decade: who is Tiger Woods? Drawing on more than four hundred interviews with people from every corner of Woods’s life – friends, family members, teachers, romantic partners, swing coaches, business associates, Tour pros and members of Woods’s inner circle – Benedict and Keteyian construct a captivating psychological profile of an African-American child programmed by an attention-grabbing father and the original Tiger Mom to be the ‘chosen one’, to change not just the game of golf, but the world as well. But at what cost? Enter your email address to follow this blog and hear about new posts by email. Please Note: Every book I review has been purchased by me. 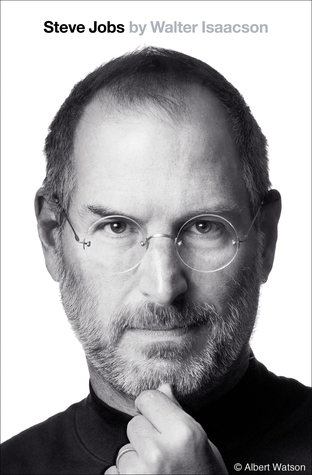 TheBestBiographies.com is a participant in the Amazon Services LLC Associates Program, an affiliate advertising program designed to provide a means for sites to earn advertising fees by advertising and linking to amazon.com.